I’m back with another review of KLenspop lenses! 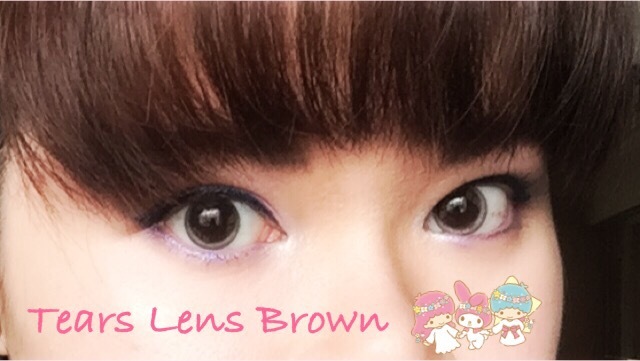 This time round I received the KLenspop Ellen Panda Series lenses in Blue and Violet. 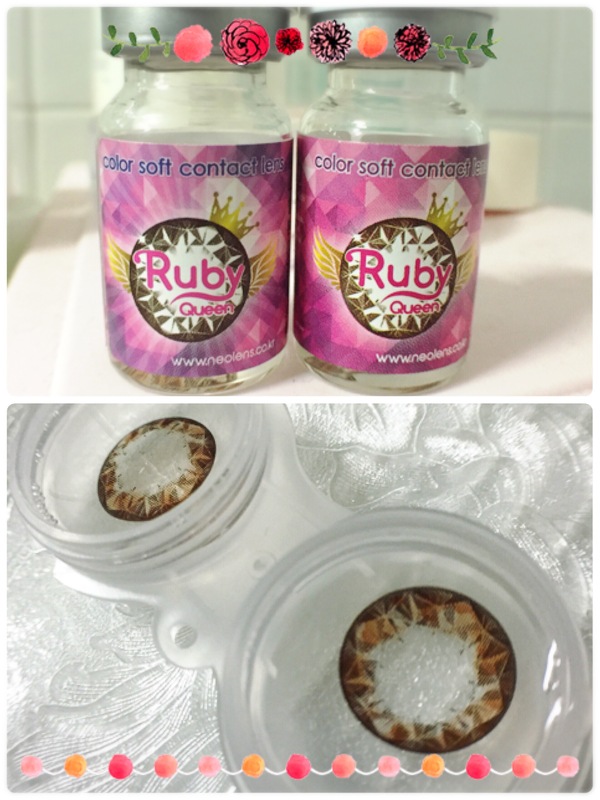 Before I go into the actual review of the lenses, here’s a look at their updated packaging! It’s like Pop Art and so much vibrant to look at! The Ellen Panda lenses can last up to 6 months. 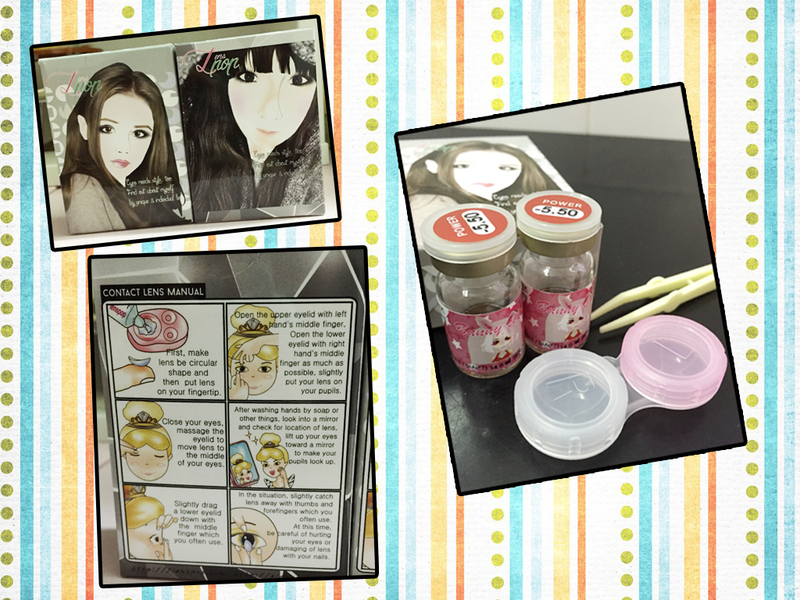 It is not drying and enhances the eyes without a super thick outer ring making it looks more natural and at the same time providing a pop of color to your eyes. But as with all the yearly lenses, I would recommend wear up to 3 months max. I personally felt that lenses kind of lost their freshness after the 3 months mark no matter how long you soak in the saline solution. Best to change monthly even if these are yearly lenses. 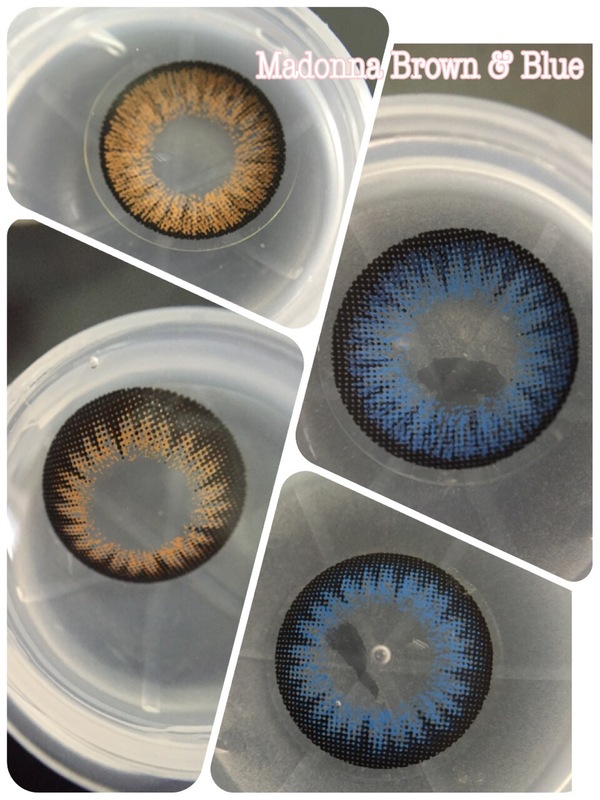 I normally wear my lenses for around 2 months, alternating 2 pairs at the same time so one pair gets to soak and clean properly while I wear the other. This is how the Ellen Panda Blue looks on me. The blue is very vibrant and it will be better if I wore eye make up and it’s not that natural looking but still very pretty! 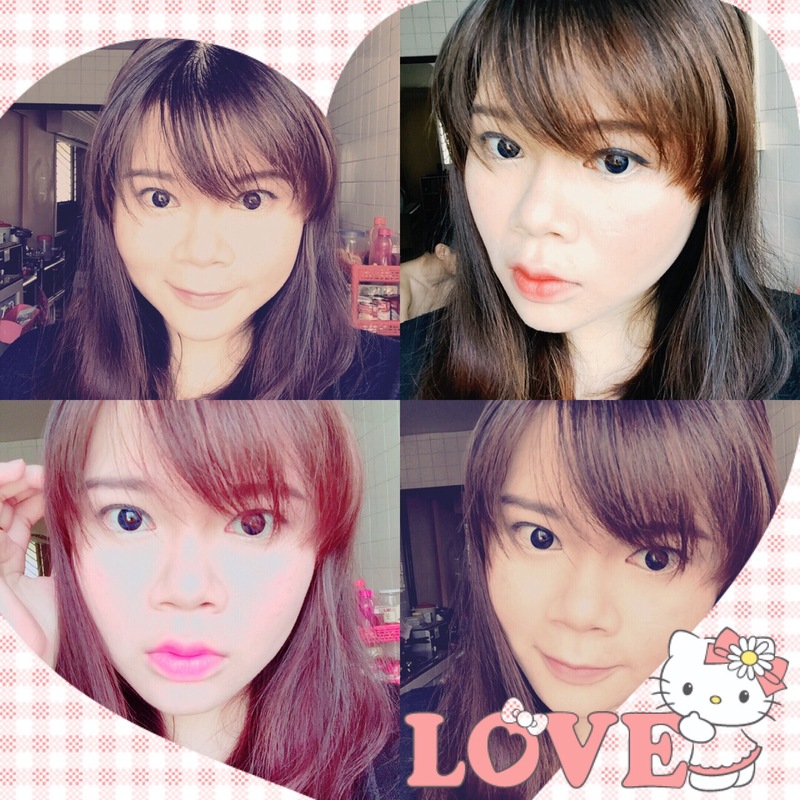 I like how the bright blue color brighten up my face. Still can be wore with minimal make up but I think I will make sure to at least have mascara and liner on when wearing this pair the next time. Here’s how the Ellen Panda Violet looks. I prefer the violet as it is much more natural looking without eye make up. Slightly different lightening as above but it does not affect the effect of the lenses. 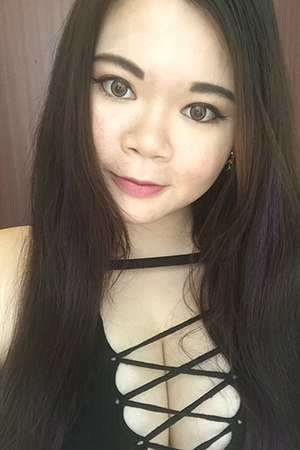 I find that gray and violet lenses generally looks pretty natural on me. Interested in other lenses available at Klenspop? Read my other reviews below! I’m back with another update on Klenspop! Received two new pairs of lens from Klenspop back in September and finally got time to try them on for the review. 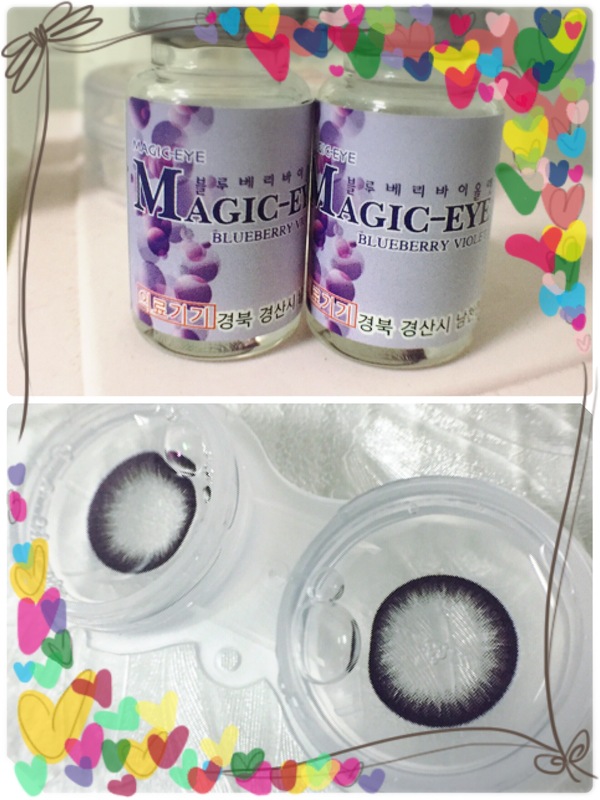 Magic Eye Blueberry Violet is one of the two I received this time round. It’s more of a cool tone deep violet lens which looks pretty natural when worn. The other pair I got is the Ruby Queen Brown which have more of a complex design that will have the illusion of sparkles when worn. A close up of both the lenses. As you can see, the design for Blueberry Violet is more natural and subtle while the design for Ruby Queen is more loud. The white spaces in the Ruby Queen design gives the illusion of sparkling eyes like a sparkling gem as the name suggests. 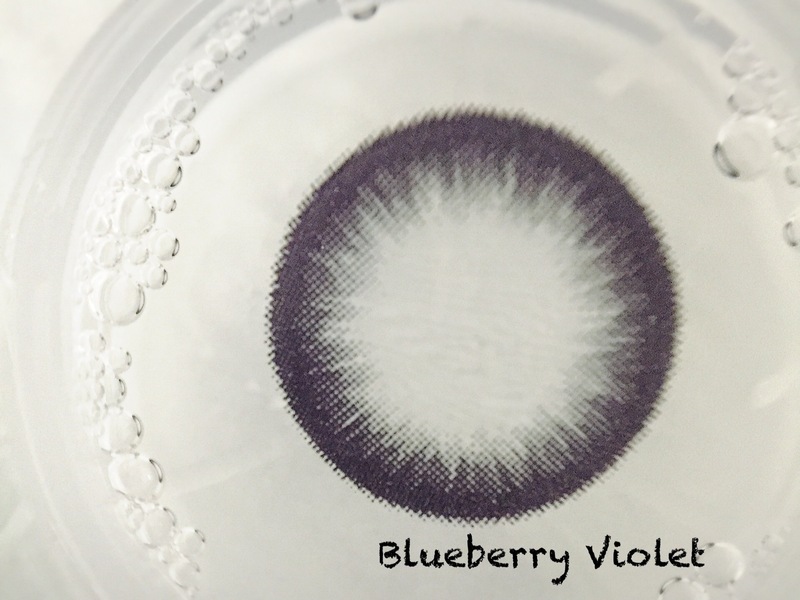 Graphic Diameter for Blueberry Violet is 13.2mm while Ruby Queen Brown’s graphic diameter is 13.8mm. Here’s how the Blueberry Violet looks like when worn. It is similar to a black rimmed lens but if you look closely, you can see the violet tinge of the lenses. Give off a mysterious vibe when wearing this pair of lens. 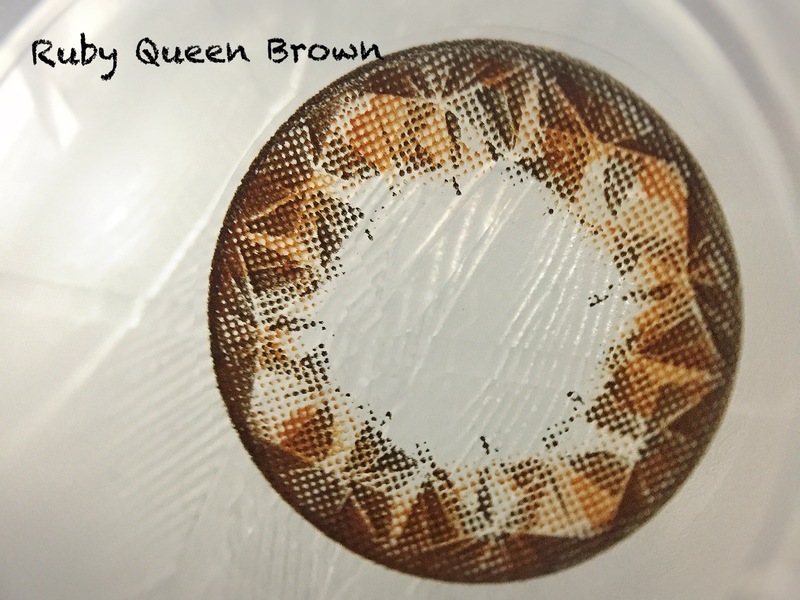 The Ruby Queen Brown gives off more of a bright eyed look when worn. 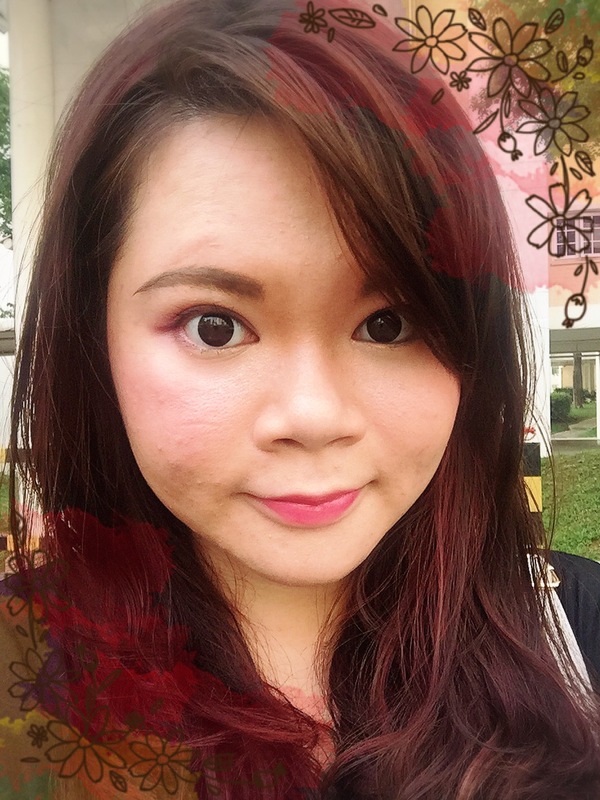 I enjoy wearing the Ruby Queen Brown more as it brighten up my eyes and has that sparkling illusion. Plus it does makes me look more ‘awake’! Both pairs are very comfortable when worn and not drying even when I’m staying in an air-conditioned environment for 8 hours straight. 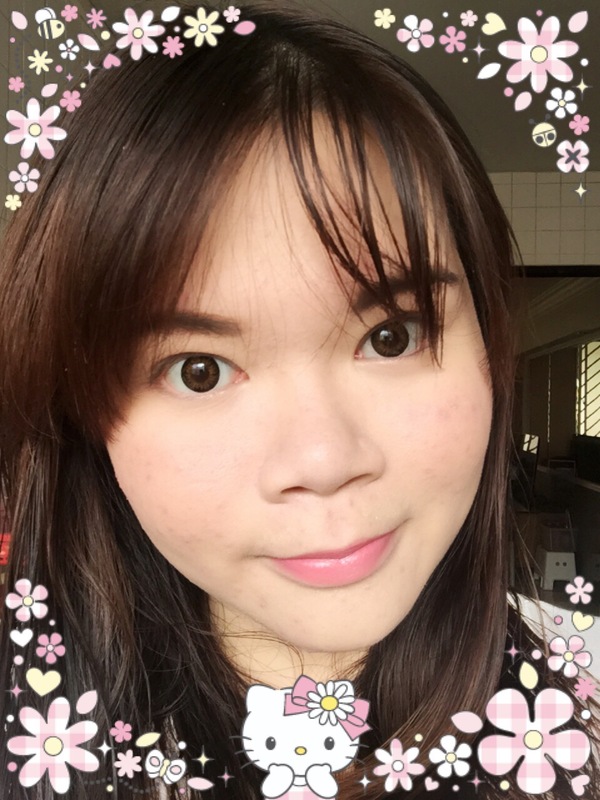 New to Korean lenses and wants to know more and how these lenses looked like when worn? Read about the other lenses I’ve reviewed from Klenspop! Hi, I’m back with another lens review from Klenspop! This time, I’ve received the Madonna lens in both brown and blue variants. Here’s a close up look at the lenses. The design is such that there’s a thicker black rim blended into the colors. The colors are bright and vibrant but not overly bright so it’s still pretty natural when it’s worn on the eyes. Here’s me wearing the Madonna Brown Lens. The graphic diameter of the Madonna lens are of 13.5mm which fits nicely over my iris. The lens diameter are of 14mm. 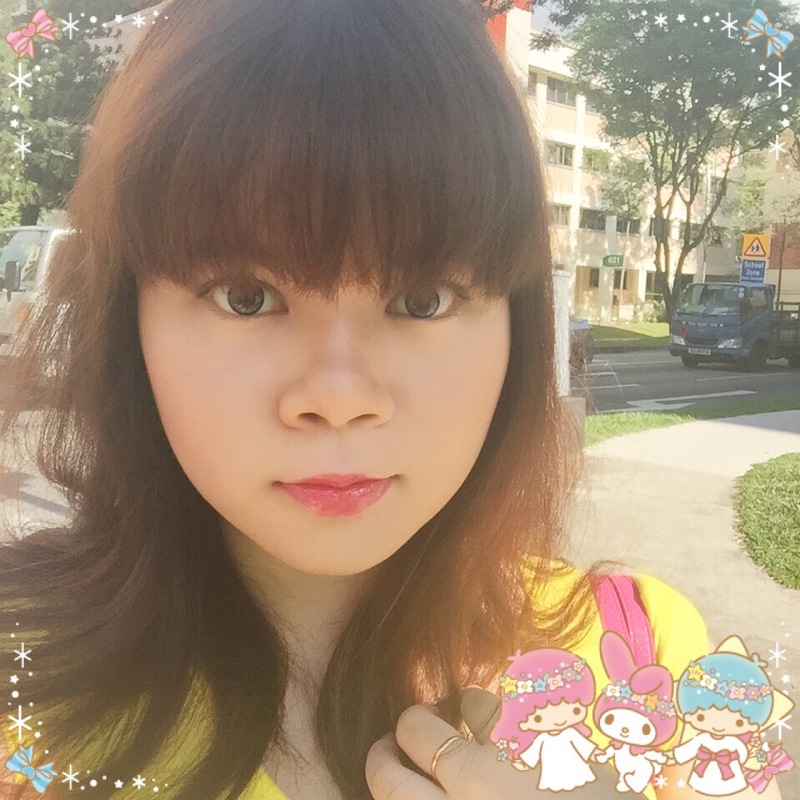 I like the Madonna Blue a lot as it looks very natural as compared to some of the blue lenses I’ve worn in the past. I think partially it is because the blue is of a darker blue and it blends well with the natural color of my iris. 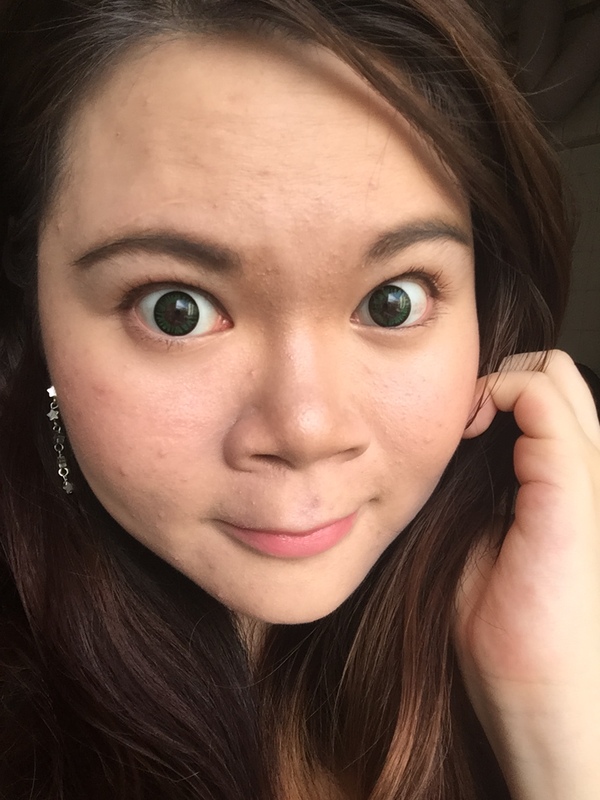 I think no one will realized that I’m wearing lenses with the blue pair as it is indeed very natural. 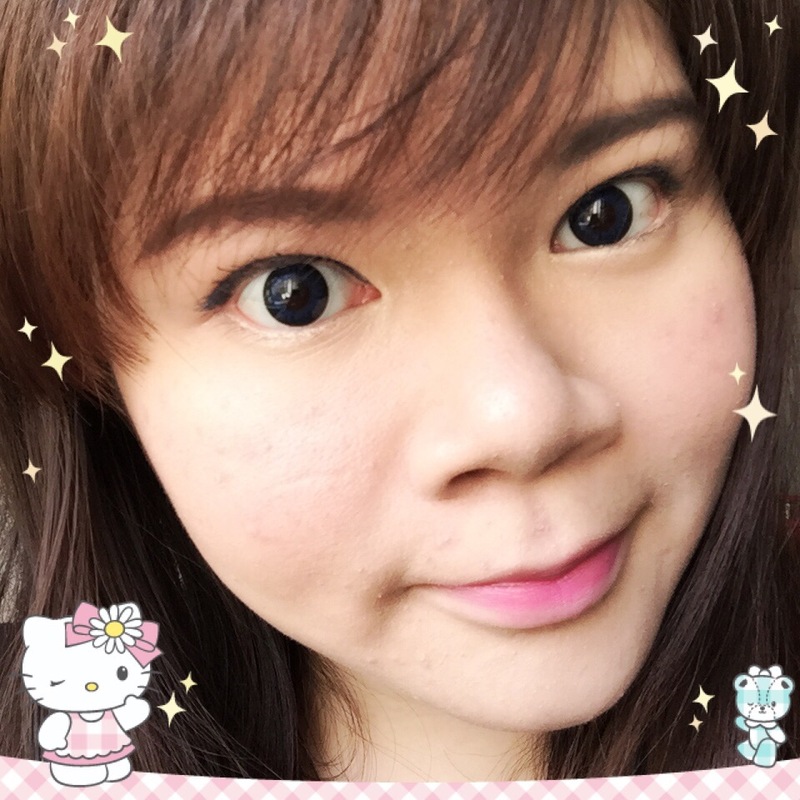 Don’t forget to check out Klenspop for more comfortable and natural looking circle lenses! 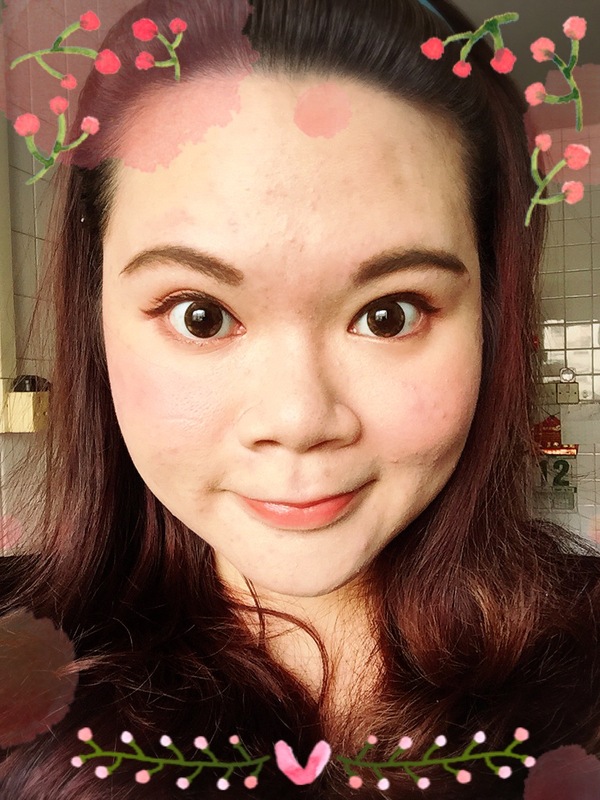 Hello, I’m back with another contact lens review from Klenspop! First up is the Tears Lens Brown. 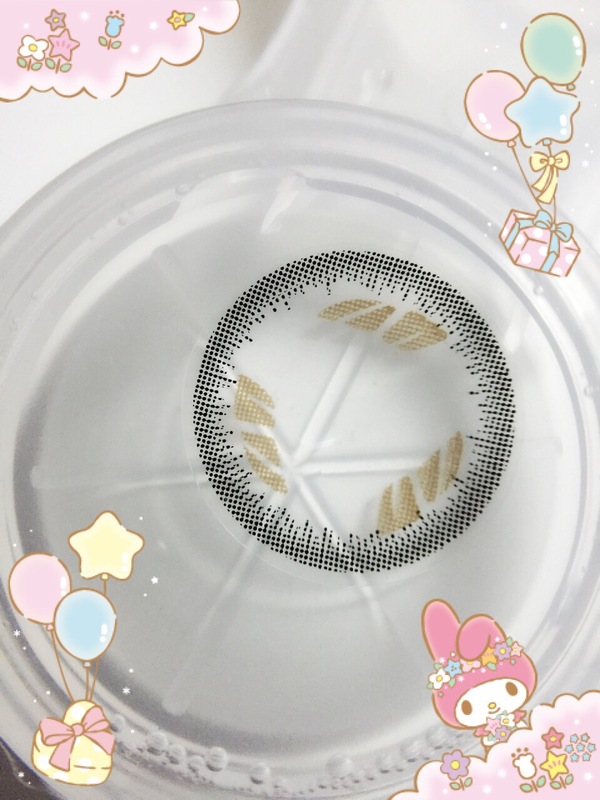 Diameter is 14.1mm and graphic diameter is 13.3mm. It’s very natural and gives a teary effect when worn. Close up of the eyes with Tears Lens Brown worn. 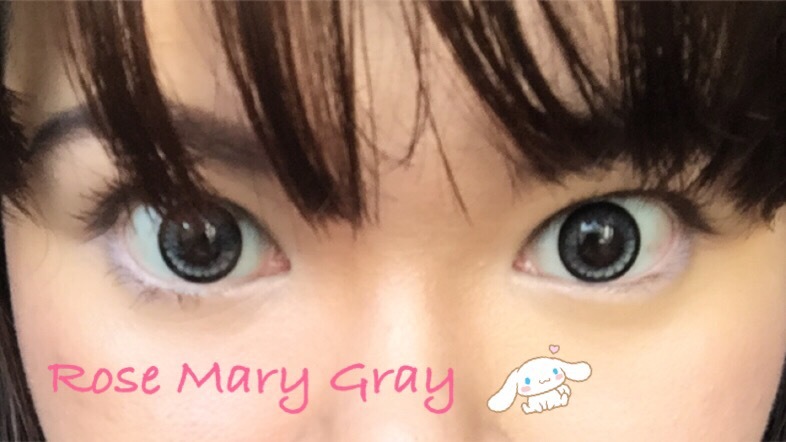 Next, I have the Rose Mary Gray which is also 14.1mm and 13.3mm in graphic diameter. It’s very similar to the Geos ones I used to wear and love. 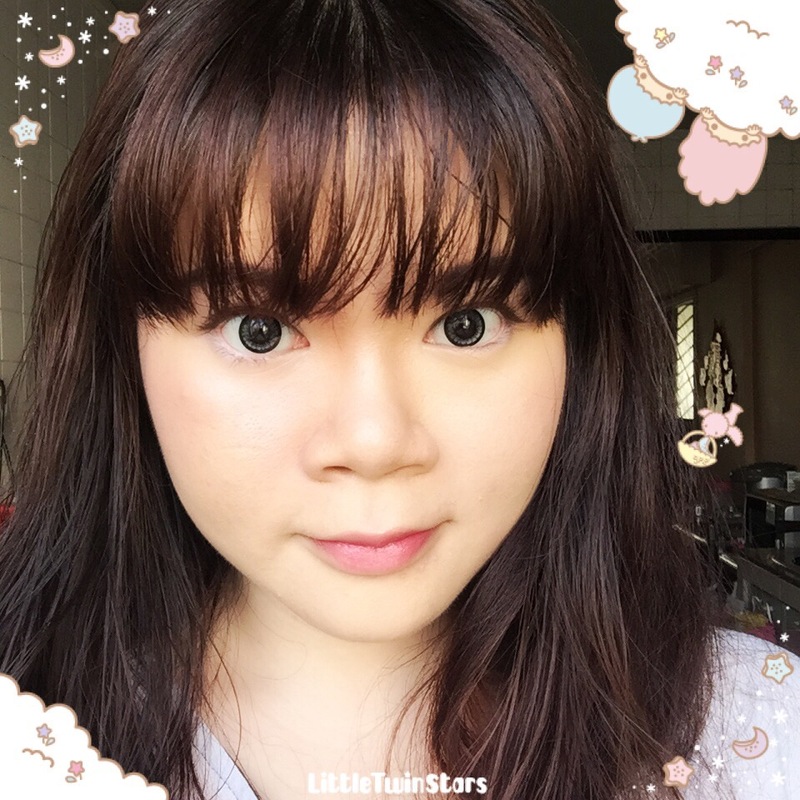 Gray lens is one of my top choice of color when it comes to contact lens as it is a neutral color that goes well with any eyeshadow I wear. Which means, it suits all sort of people of different skin tones. Plus it does not look as harsh as how some black lens can be. Here’s two looks where I’m wearing the Rose Mary Gray! Close up of the eyes with Rose Mary Gray Lens worn. These two pairs of lens are more comfortable I would say and less drying. I really like how natural they look and not having to worry that my eye makeup will clash as they are both neutral colors. Do check out Klenspop and like their FB Page! They currently still provide free shipping for purchases up to $80! Check out the first review I did for Klenspop here! The kind folks at Klenspop have kindly sent me two pairs of their best selling lens for review. I’m loving how Klenspop packaged their lens. The box have got pretty artwork and instruction for wearing and removing the lens at the back. I find the instructions very useful even for long term wearer like me as I’ll tend to forget the proper way to handle my lens at times. Over at Klenspop, they do not only give you a case but also a pair of plastic tweezers so it’s easier for you to get the lens out of the glass bottle! It all came nicely packed in a zip lock bag which is not pictured in the box. 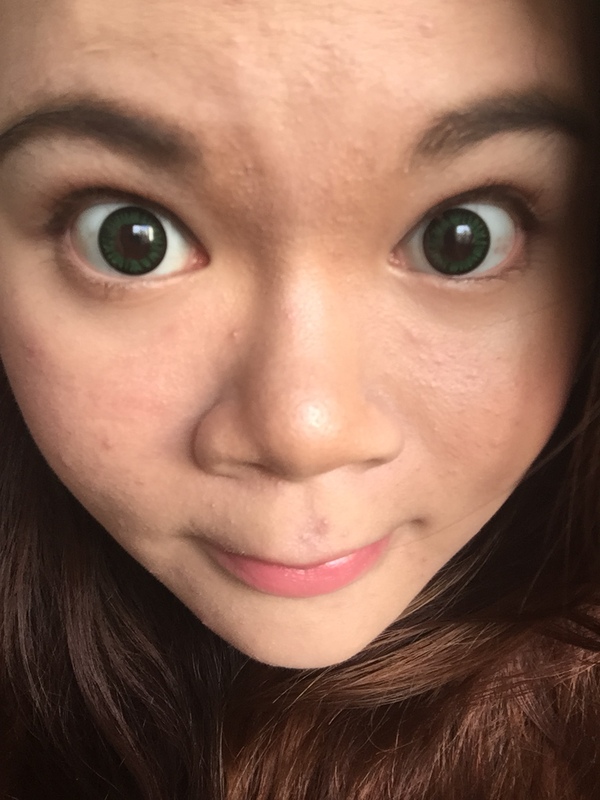 The two pair of lens that I’ve received is the Bunny Color Brown and Cara Green. 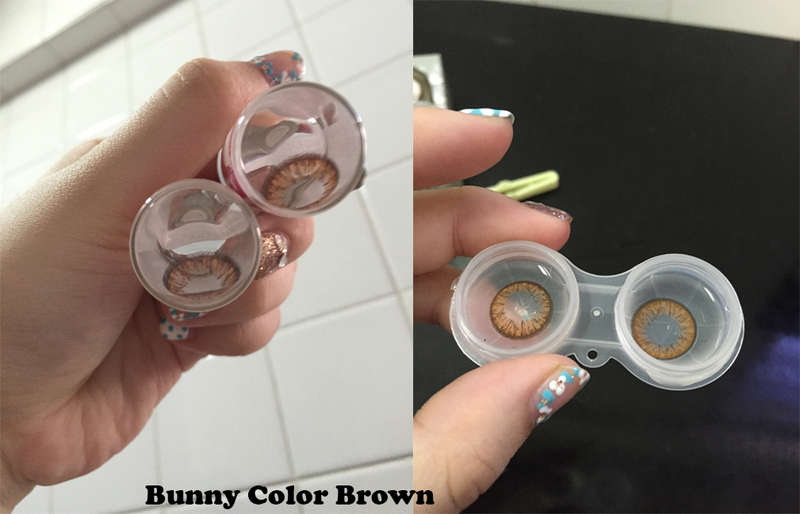 Both are 14.0mm in diameter but the graphic diameter from the Bunny Color is slightly bigger at 13.8mm and the Cara lens is 13.3mm. 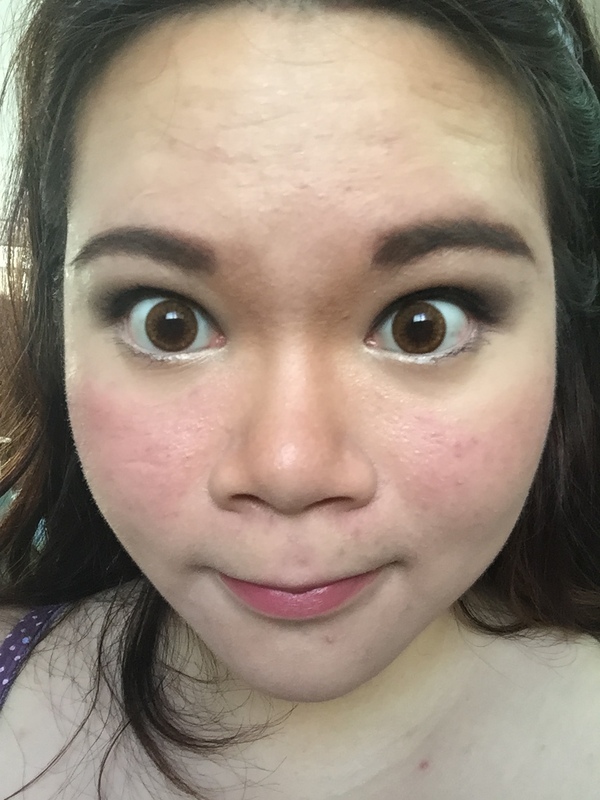 Pictures of me wearing the Bunny Color Brown lens. It give a more soft and dreamy look. It is also more natural as the outer rim is not a harsh black ring but more of a feathered effect. 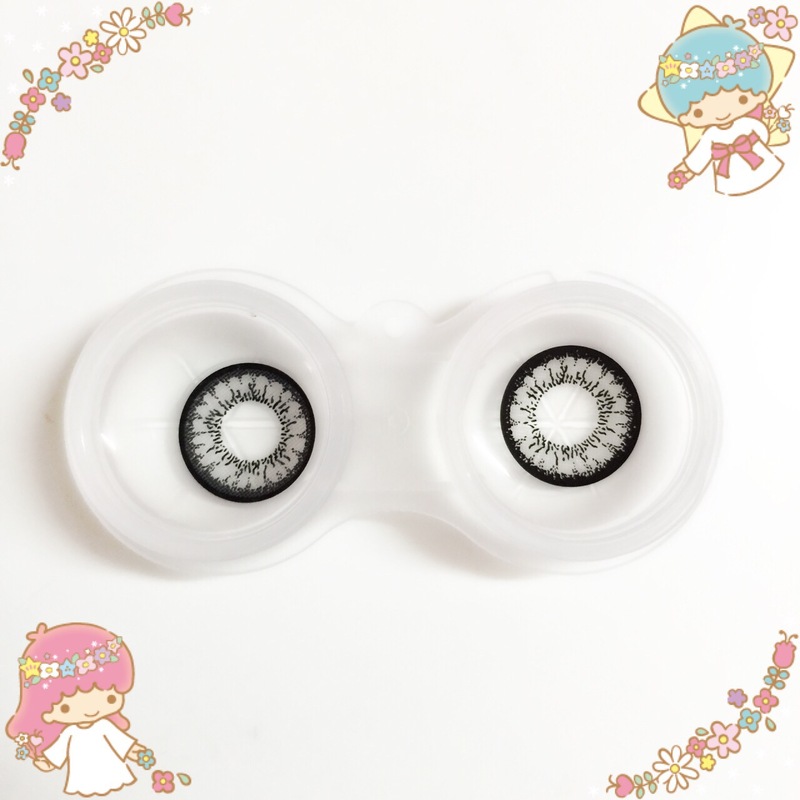 Both lens are pretty comfortable to wear but if you work in an air-conditioned environment, it can be a little drying so it’s best to have eye drops with you! The lifespan of the lens are up to one year but I’ll say to use them for a max 3 months and throw them out if they start to be uncomfortable. One thing great about Klenspop is that the lens are very reasonably priced and there’s no extra charges for powered lens! 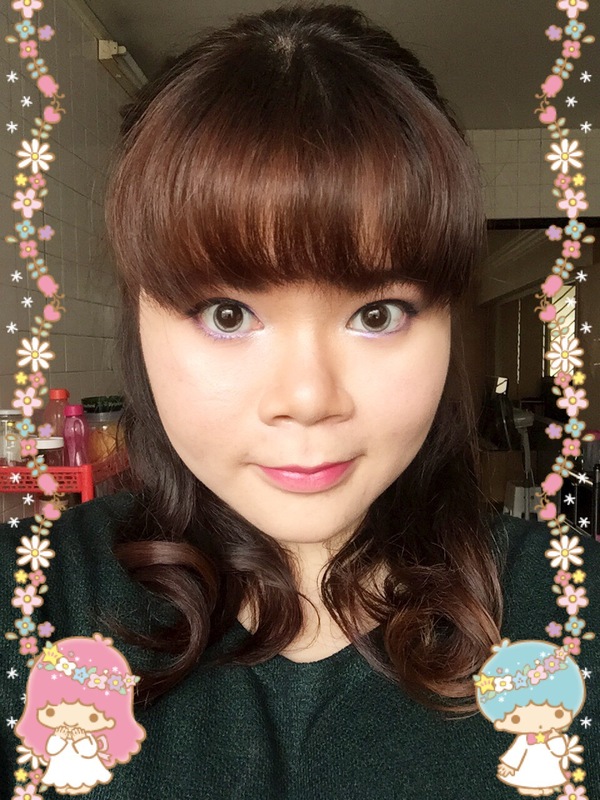 They also do have Toric circle lens too though at a higher price point! 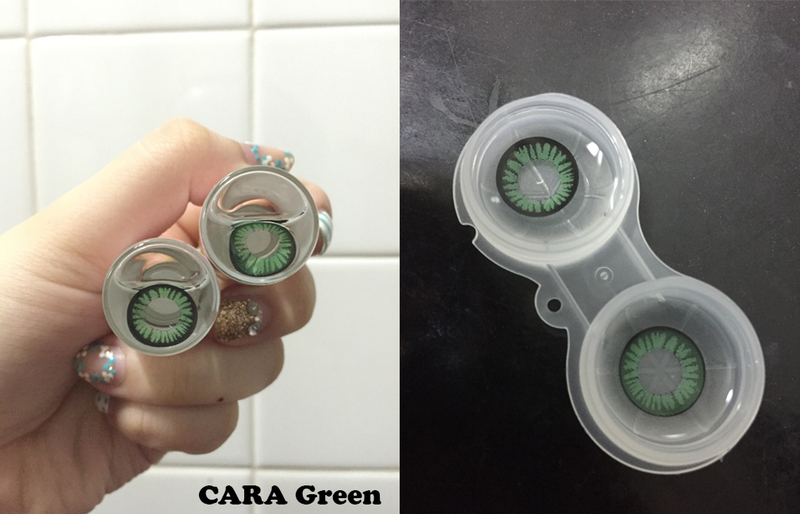 The Cara Green is available in Toric version. Do check out Klenspop and like their FB Page! They currently provide free shipping for purchases up to $80!